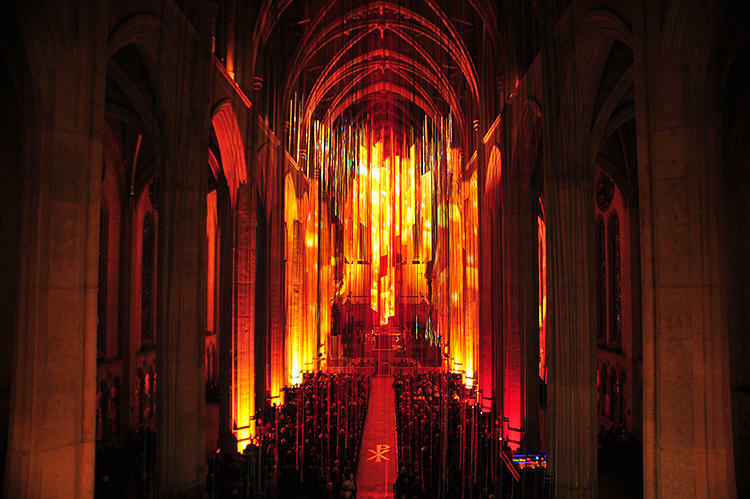 I am not a religious person but, as an art historian, I can appreciate the palatial beauty of cathedrals. 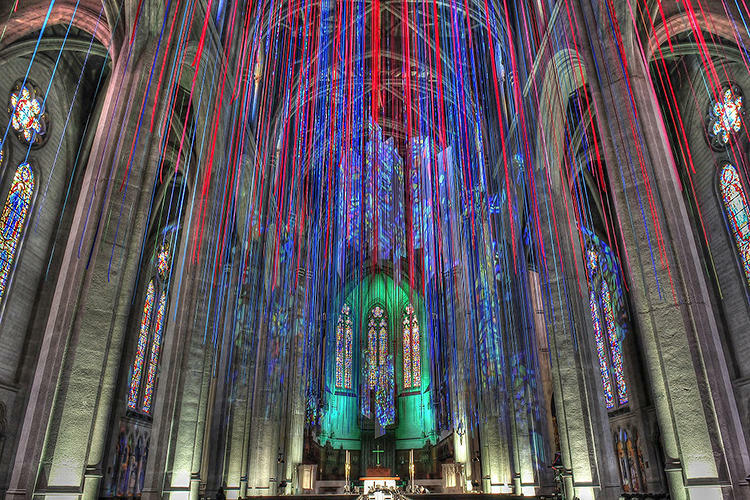 Now add on a beautiful installation to that magnificent church space and you really have my attention. 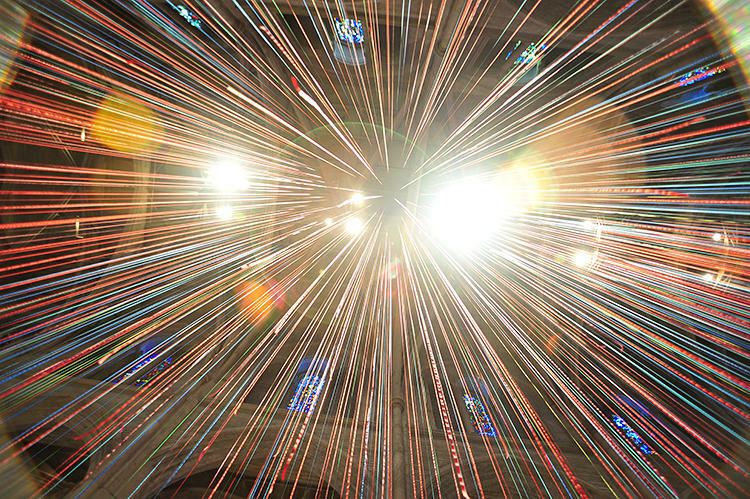 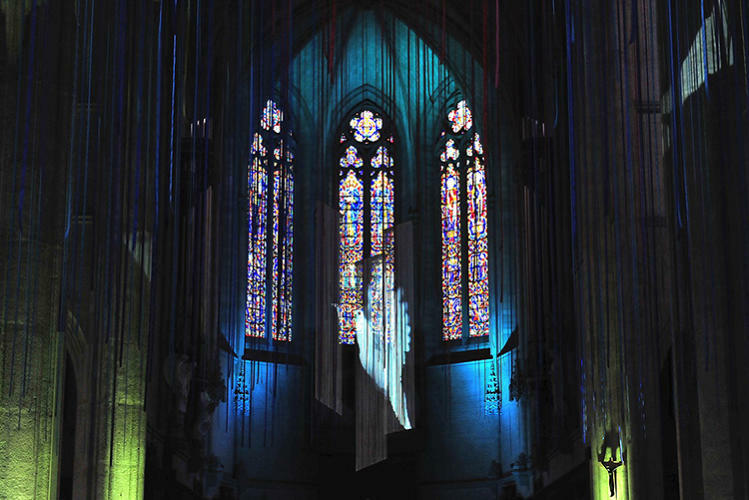 This breathtaking work was created by New York-based installation artist Anne Patterson. 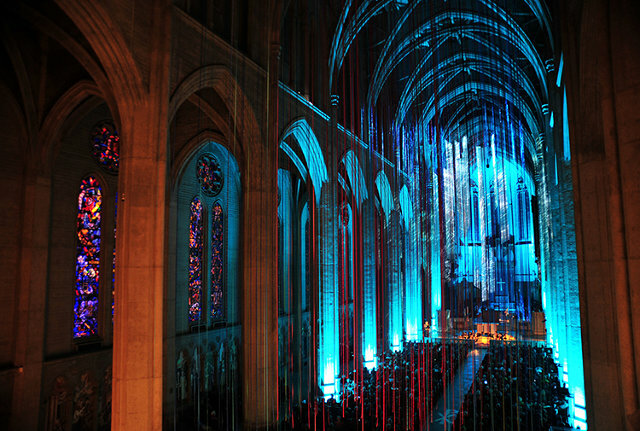 It features twenty miles of silk ribbon strung from the high above the nave in the famous San Francisco chapel, Grace Cathedral. 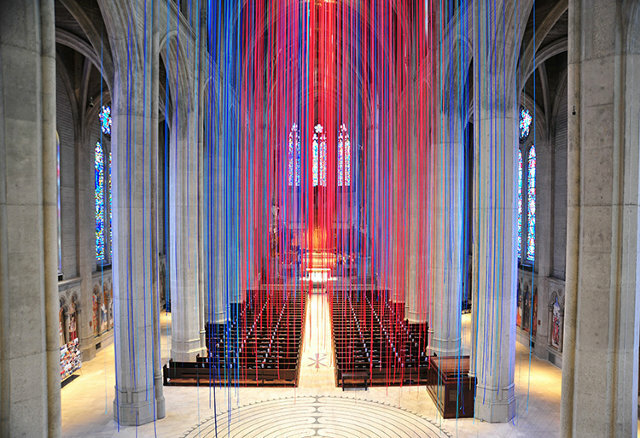 The work, inspired by the music and color combinations that spin through Patterson's brain (she suffers from synesthesia), has prompted community members to associate the ribbons with their hopes and prayers, sending them heavenward in the vaulted space. 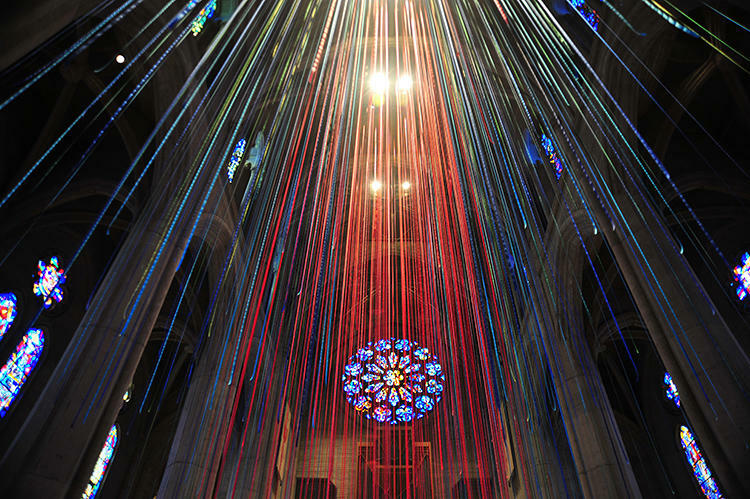 The work was supposed to come down last fall, but has been so popular it has ben extended until this February. 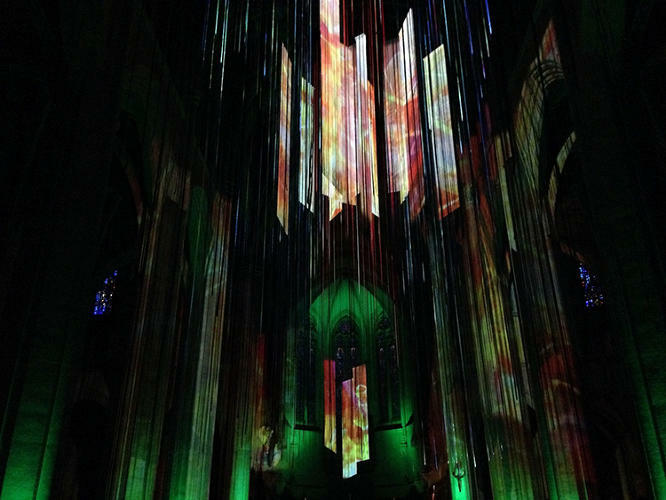 If you are in the neighborhood, I suggest you check it out!